I’m quite the wine fan, but I thought I was breaking ground a few years back when I embraced rosé in the summertime (years before “rosé all day” became a thing). 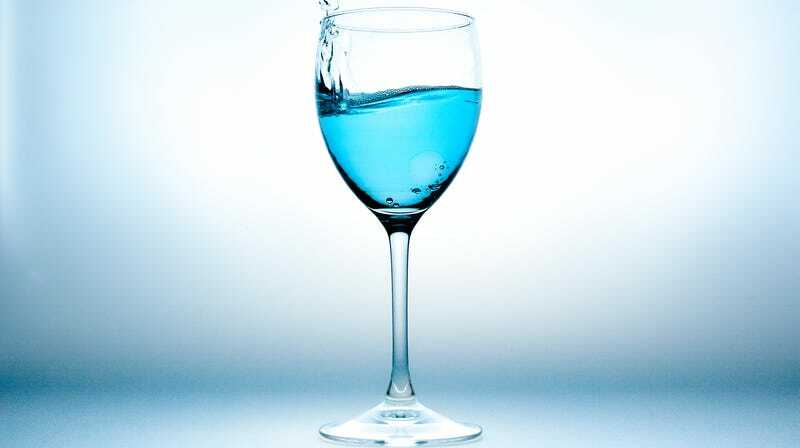 So I was straight-up startled today when something unusual came across my Twitter feed: blue wine. Despite the novel shade, orange wine didn’t really take off right out of the gate (hence the article headline). But the Sonoma Index-Tribune recently reported on popularity of an orange wine varietal from Jordan Kivelstadt, founder and head winemaker at Kivelstadt Cellars in Glen Ellen, California, and CEO of Free Flow Wines: “I felt there was a lot of the orange wine out there domestically, that wasn’t very good. I wanted to do it right. So, we made a gateway orange skin fermented wine where consumers could appreciate it.” He reports that his 2017 Wayward Son Orange Wine sells out as soon as it’s released. Next time I visit the wine store, I’m definitely going walk up and down the aisles to see how many shades there are outside from the traditional pinot gris to pinot noir. And will probably still stock up on a bunch of rosé, which is shaping up to be my favorite wine shade so far.